Venezuelan President Nicolas Maduro has slammed Washington’s belligerent rhetoric towards his country in an open letter addressed to the American people. The Trump administration has been leading calls for Maduro to be overthrown, recognizing opposition leader Juan Guaido as the country’s “legitimate” leader. It was joined in these calls by a number of European nations. 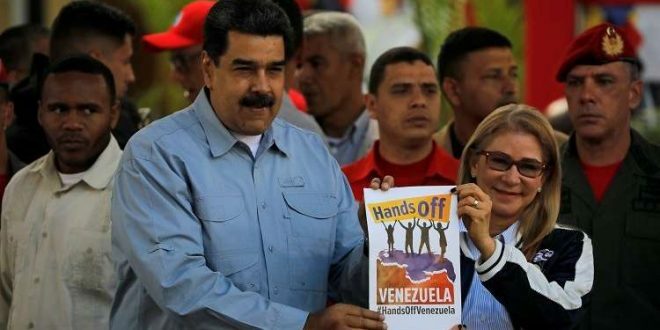 Several other countries – including Russia and Turkey – are backing Maduro as the legitimately elected president, and have denounced Washington’s actions as attempts to foment a coup.